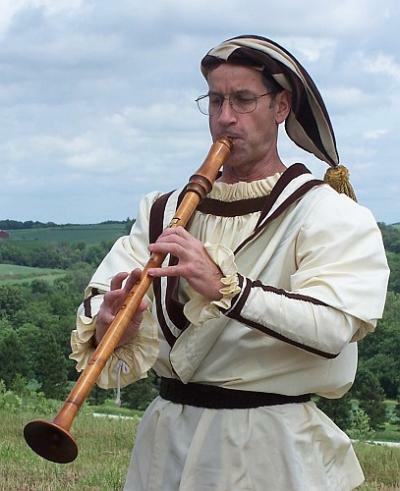 The name hirtenschalmei (shepherd's shawm) comes from the fact that this instrument, often mentioned in medieval French literature and poetry, was frequently depicted in art as being played by rustic types. 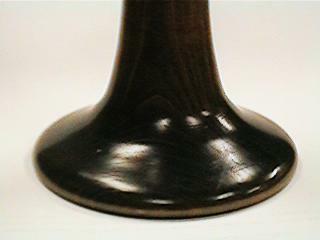 The tone is produced by a capped double reed. The tone quality is rich and buzzy, one distinctly different from the krummhorm. The main bore is cylindrical and ends in a large flared bell. During salvage operations in 1980 on Henry VIII's ship, The Mary Rose, the only surviving example of a hirtenschalmei was uncovered. It had been preserved by the covering of silt in the hold of the ship since it was sunk in the English Channel in 1545. The remnants of that instrument served as a model for Musica Antiqua's Gunther Koerber replicas, including a soprano in c1, alto in f, tenor in c, and bass inF. 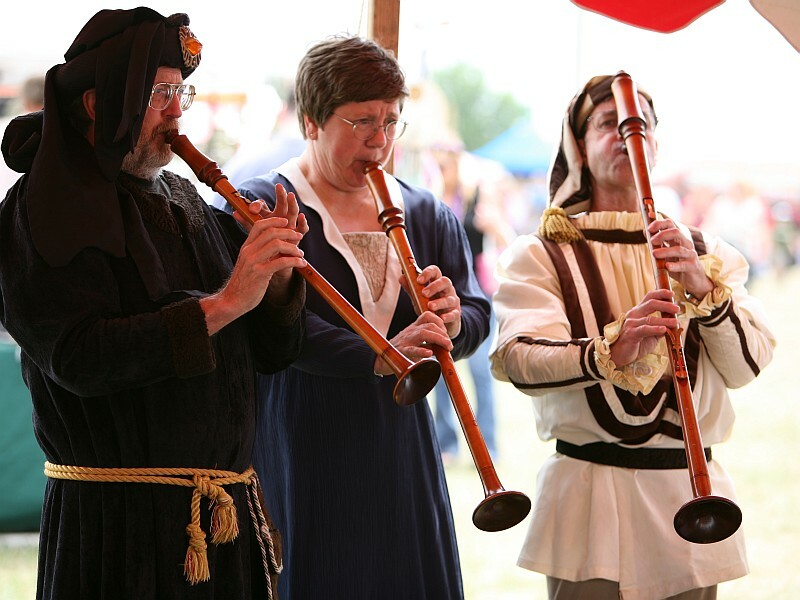 The Mary Rose instrument may be a unique example of the dulcina (doucaine or dulzaina) described by Tinctoris (c. 1487) as a reed instrument characterized by low volume and a limited range.